To apply for the 2019 Kathleen Tattersall New Assessment Researcher Award, please submit by 30th April 2019.
contribute to the aims of AEA-Europe. The candidate has to provide documentation that will be evaluated by a panel consisting of Fellows of the Association. The documentation must consist of a CV, a letter of application, which shows the motivation of the candidate, two nomination letters and an abstract (3000 words) of the research the candidate wishes to present. The winner receives 500 Euros and a certificate to acknowledge the award and, as a keynote speaker, the conference fee is met by the Association and the winner is also eligible for support with the cost of travel to the conference. Moreover the winner will have the opportunity to report about his/her own experience in the Association’s newsletter. Applications must be emailed to the AEA Secretariat at admin@aea-europe.net by 30th April each year. If you have any queries, please also email these to the Secretariat who will be pleased to offer support. Are you new to the world of educational assessment? Do you and your colleagues feel your work makes a considerable contribution to the field? In 2007, AEA-Europe introduced an award for new researchers in the assessment arena. Each year a new recipient is chosen. The winner of the award receives the opportunity to make a keynote presentation at the AEA-Europe Annual Conference. As keynote speaker, the conference fee is met by the Association and the winner is also eligible for support with the cost of travel to the conference. The winner also receives 500 Euros and a certificate to acknowledge the award. It gives us great pleasure to announce that the winner of the Kathleen Tattersall New Assessment Researcher Award for 2018 is DR. MARIA BOLSINOVA. Dr Bolsinova currently works as a research scientist at ACT Next, the Netherlands. She receives the award on a keynote proposal largely based on work conducted over several years as part of her PhD at Utrecht University and as a postdoctoral fellow at University of Amsterdam. We look forward to a keynote presentation at the upcoming conference presenting the state of art regarding the use of time-response data in modelling of latent constructs. The presentation is entitled “Response times in educational assessment: Moving beyond traditional assumptions”. The jury concluded that Dr. Bolsinova’s work is truly impressive. Her CV is exceptional with already a high number of publications in top-ranked journals. Her work on the combined use of response accuracy and response time in educational assessment has been and continues to be a significant issue in terms of the design of assessments, and their claims to reliable and valid outcomes. This work, although complex, casts some clear light on how response times can be usefully incorporated into the tool kit of assessment design, evaluation and modelling – and not the least, her work already includes contributions to improved understanding on how models may be specified without relying on some restrictive and in many cases, unrealistic assumptions. 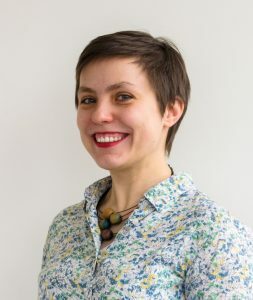 We have high expectations that Dr Bolsanova will make a huge impact over the next years, both in terms of producing work in the frontier of psychometrics, and in terms of applications of these ideas into the practice of assessment. Below you will find more information on the Kathleen Tattersall New Assessment Researcher Award and the AEA-Europe Conference Poster Award. AEA–Europe encourages its membership to submit poster proposals for its Annual Conference each year. It is a very effective way for professionals engaged in assessment to present their work, having the opportunity to exchange ideas, get feedback to improve their work and develop new, shared projects together with other experts in the field. Please see the following pdf document for further details of the award and the selection process.